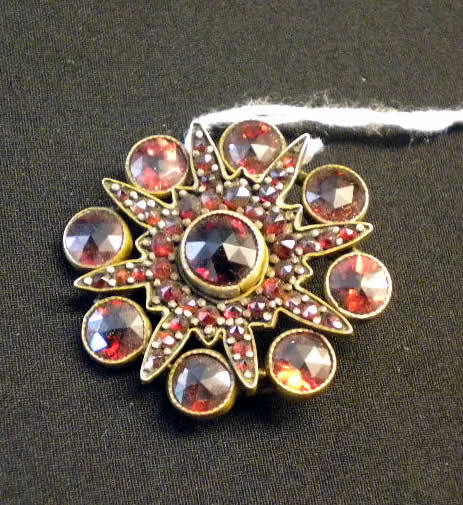 Beautiful little vintage brooch with garnet stones. 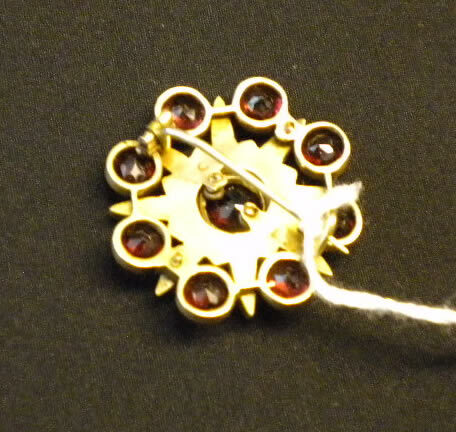 Diameter of 3 cm. Good condition.